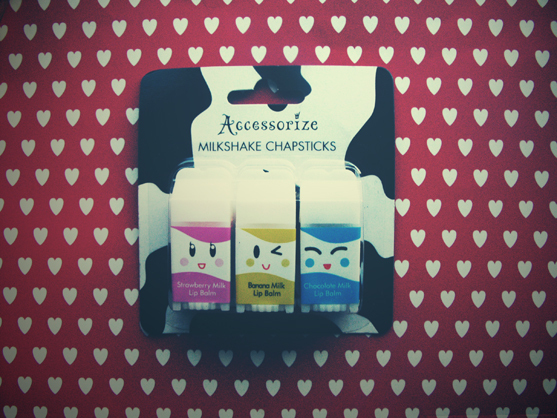 My boyfriend bought me these super cool Milkshake Chapsticks for Valentines day and just had to take a picture. How cute are they! They taste so nummy too. My favourite is the Strawberry, I want to not use them because they are just so overwhelmingly cute! Ivor forgot to bring my presents after work on Sunday, and I was pretty bummed out, I didn't expect to get them till he came back from Leeds on Friday. But No, Got home from a long day at work to a package, and it contained all my gifts! How cute is that! He even sent it next day special delivery! He got me 4 charms for my charm bracelet, a heart print purse, Summerslam 2005 DVD, Almost famous DVD, and the chapsticks! I was actually so pleased with all of it because it was so thoughtful and he remembered the fact that I wanted that heart print purse but couldn't buy it as I'd lost my purse! What a lovely boyfriend! I didn't even get him anything, but I've promised to get him some converse allstars when he decides which ones he likes! 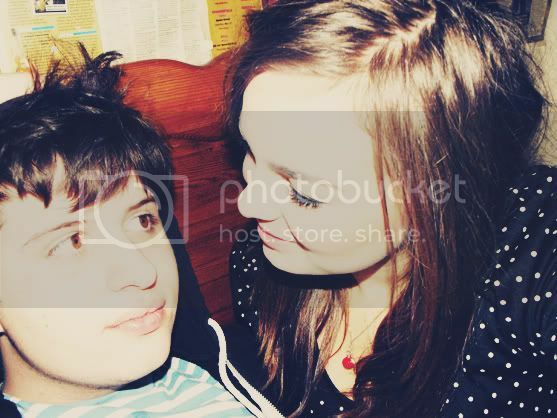 aww you two look so sweet together. Wow i got those chapsticks from my boyfriend too! The milk shape chapsticks look like something i would not be able to resist buying. I have WAY too many chapsticks its ridiculous.